One year ago, after decades of appeals, witness recantations and petitions for clemency, the state of Georgia executed Troy Davis. I stood witness outside the prison in Jackson, praying, singing and crying among a crowd of hundreds, all of us certain that the exonerating evidence would compel the justice system to reconsider its fatal conviction or, at least, grant enough time to fairly reexamine the facts of his case. In a collective outburst of grief and outrage, Davis' death became one of the most active events ever seen on Twitter and sparked unprecedented media coverage. Ordinary citizens protested as did political and religious leaders, including Pope Benedict XVI, Archbishop Desmond Tutu and former FBI chief William Sessions. One year later, as our memory of Davis fades, Missouri is moving closer to executing Reggie Clemons despite a distinct lack of physical evidence and plenty of prosecutorial misconduct. These two men are the unfortunate symbols of a broken system. With more than seven million Americans currently in prison or on parole, it's worth trying to understand - and fix - the problem. Our criminal justice system is the end of the road for a disproportionate number of Black Americans, particularly Black men. But the problem starts much earlier in another system: public education. From a young age, the lines between the public education and criminal justice systems are blurred for Black children, who are more likely to be suspended, expelled and even arrested for minor disciplinary infractions than their peers. In the last thirty years, suspension rates for white students rose from 3 percent to 5 percent while suspension rates for Black students rose from 6 percent to 15 percent. Contrary to schools' intentions, these punishments encourage further delinquent behavior and put children on the street instead of behind a desk. Once a Black teenager makes the transition from education to justice system, it's almost impossible to change his path. The systematic discrimination that derails Black youth in school continues when they enter our courts. Prosecutors wield much greater power and have significantly more resources than the defense. Low-income Black men often cannot afford to hire effective counsel, increasing their chances of being railroaded into a guilty plea or facing a biased and unfair trial. This is hardly a surprise as our criminal justice system is motivated by conviction rates and is more concerned with locking people up than ensuring that those convicted are actually guilty. Overzealous prosecutors, empowered by a system they help run, need to make sure that someone - anyone - pays for a crime. There is no incentive to make sure they have the right man. From time to time, however, someone does attempt to balance the scales of justice for those trapped in the system. On November 6, California voters will consider Proposition 34, a ballot initiative to repeal the death penalty. Replacing the death penalty with life in prison without the possibility of parole in California will not eliminate injustice and error inherent in the criminal justice system, but it will take away the most destructive - and certainly the most irreversible - tool in the system's arsenal. At least California will have the comfort of knowing that no innocent people are put to death in their state. If Californians approve Proposition 34, 725 current inmates will be taken off death row. Considering the flaws and prejudices inherent to our criminal justice system, it is very likely this number includes another Troy Davis or Reggie Clemons. The new law would require those convicted of murder to work in prison and earn wages to be applied to victim restitution fines, allowing them to be productive within the criminal justice system. Until we are confident that all defendants receive a fair trial, we cannot feel confident about the decision to take a person's life. The death penalty is final and irreversible, and our criminal justice system is fraught with errors and doubt. If we continue to let a broken system determine the lives and deaths of so many Americans, we can expect to spend many more days praying and mourning over their fates. 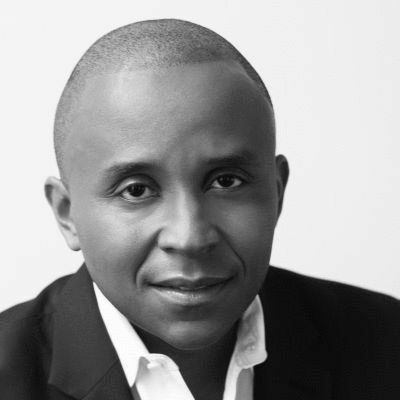 Rashad Robinson is executive director of ColorOfChange.org. With more than 800,000 members, ColorOfChange.org is the nation's largest Black online civil rights organization.